Giulio Regeni“We ask to write with a pseudonym for security reasons”. This is one of the emails a friend of Giulio Regeni sent to il manifesto last December 2015. The circle of friends of the Italian researcher is a key to disentangling this apparently irresolvable mystery on the arrest and torture of Giulio Regeni. Let’s try to keep these two moments as distinct. It is almost sure that at least six days passed between his disappearance, on January 25 2016 downtown Cairo, and his death. Six days of torture, a “slow death”, as confirmed by the Italian autopsy. Moreover, the Italian public prosecutor, Mr. Sergio Colaiocco, added two points germane to reaching the truth on Giulio’s murder: firstly, on his body there are evident signs of torture made by “professional hands”, in other words this is a work that only the Egyptian Amn el-Dawla (National Security) could have perpetrated, as it does so often with Egyptian political prisoners; secondly, Giulio Regeni was not being monitored before January 25 2016, and the reasons for his death are related to the fieldwork research he was carrying out in Egypt. These two points terminally refute the most ignominious allegations, often advanced of late by many Egyptians regarding any foreigner sitting in a Cairo café with local people: “you are a spy”. On the contrary, Giulio Regeni was a dedicated and meticulous researcher, an “avant-guarde for Europe”, as the Italian writer Erri De Luca described him in an interview with us. Nothing that could prompt suspicion emerged from searches of his laptop and of his contacts in Egypt. So why was Giulio Regeni arrested on the night of January 25 2016? From initial inquiries within the circle of friends of the Italian researcher it is clear that all of them felt a generic fear: they might have come to the authorities' attention during their participation in trade union meetings last December 11, 2015 or in gatherings with other trade unionists - for example Fatima Ramadan and Amr Assad who were among Giulio Regeni's usual interlocutors for his research. The young Italian was working on independent trade unions in Egypt, but he was particularly concentrated on participatory research, approved by the University of Cambridge, into the tax collectors' unions. It is very unlikely that these elements, together with the almost certain absence of his phone calls as recorded by the Egyptian Security apparatus before January 25 2016, will yield sufficient evidence to justify the suspicion that the arrest of Giulio Regeni was not random, as argued by the first witnesses to give statements. On the contrary, we are still not sure if, that night, Giulio Regeni was arrested outside his house in Dokki, not far from the Nile, or close to the metro station Mohammed Naguib, closer to El Falaki Square: his social network profile passwords and call records are not yet in the hands of the Italian prosecutors. “Giulio was an excellent Arabic speaker who could have been confused with an Egyptian”, one friend confirmed to us. 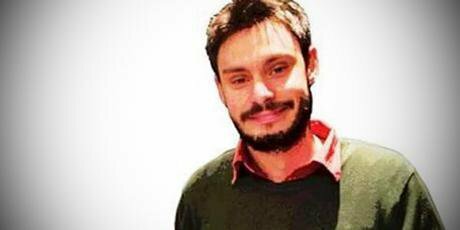 So it is plausible that Giulio Regeni was arrested on January 25 2016 in a general crackdown of police control. During the same hours, 5 thousand homes were searched in downtown Cairo because the Security forces were worried about possible demonstrations that finally never took place. At that stage, why was Giulio Regeni tortured to death? Giulio Regeni and his friends were scared of coming under surveillance. For this reason, a random arrest could have made the researcher even more tense given the feeling of responsibility to conceal the identities of all the people involved in his research, including many Egyptians engaged in anti-regime political activities or simply in the ordinary participation in trade union assemblies. When Giulio Regeni disappeared, some of his Egyptian friends began to tweet Where is Giulio? But after a few minutes all these tweets were deleted because his friends decided, together with the Italian Embassy in Cairo, to proceed according to the usual custom in Egypt of not announcing publicly the enforced disappearance of a relative, but beginning with informal enquiries in the local hospitals while negotiating with the Egyptian authorities to gain information about his fate. This decision is clear evidence of the mood of fear and suspicion in the lives of his circle of friends and Giulio himself, under the Egyptian military regime. The Italian citizenship that surfaced at some point during the detention, the reticence to involve his colleagues and activists' friends might have triggered the passage of Giulio to different branches of the Egyptian State Security’ apparatuses and headlong to the place of his torture and murder. Or it might even be the case that if Giulio Regeni was never identified as a foreign national, they might calculate that he could be involved in an exchange of persons with some of his friends, if they were considered more likely to be active in the political opposition. The outrage that the death of the doctoral student elicited in Italy together with the sit-in asking «Verità per Giulio» (Truth for Giulio), organized on February 25 2016, in front of the Egyptian Embassy in Rome by Amnesty International, triggered the first reactions, forcing the reluctant Egyptian investigators into minimal cooperation with the Italian team (Ros, Sco and Interpol), working in Cairo since last month in order to clear up his murder. The Egyptian role in the conflict in Libya, in which the Italian authorities are willing to take part, and the commercial agreements on the use of Zohr IX gas-field by the Italian ENI company with their Egyptian counterparts, must not get in the way of the demands for truth and justice regarding the murder of a brilliant researcher and the forthright denunciation of the violations of human rights currently taking place in Egypt. Pressure, as applied by many Egyptian political activists, brought about the rare and temporary arrest of a police officer, Yassin Mohammed Hatem, responsible for the murder of the Egyptian Socialist, Shaimaa el-Sabbagh, who was taking a rose to Tahrir Square last year. Only this unrelenting, continuous monitoring of the Egyptian authorities will reveal the names of the killers and the reasons behind the murder of Giulio Regeni.